Beltone’s Direct Line of wireless hearing instrument accessories is the easy way to link to the world around you. Whether watching television, listening to music or talking on the phone, stereo sound streams directly into your hearing aids at the customized level just for you! 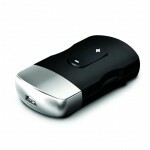 The Beltone Direct TV Link is the first direct-to-the-ear way to watch TV, whether you’re alone or with others. It streams high-quality stereo sound from television, stereos and PCs right into your hearing aids, without the need for a relay device or “bridge.” No “neckloop” or cord is required, so you are free to move around as you please. 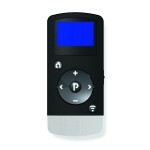 The Beltone Direct Phone Link 2 is the key to phone communication. It’s small and lightweight and clips to your shirt. When the phone rings, you simply press a button to answer. Clear speech goes directly from the phone into your hearing aids. A microphone on the Direct Phone Link 2 picks up your voice, so you can talk hands-free and don’t have to take your phone out of your pocket or bag. 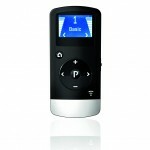 The versatile Phone Link 2 also acts as a basic remote control for hearing aids. Whether you want to change volume or environmental programs, the Phone Link 2 is the answer. For even more control and discretion, download the Beltone SmartRemote app and turn your smartphone into a full-function remote control. The Beltone Direct Remote Control turns on and adjusts the volume of the signal from the Direct TV Link and discreetly adjusts your hearing instruments. The large screen is easy to read and includes volume and environmental program displays as well as a helpful low-battery indicator. The Beltone Direct Personal Audio Link (myPAL) gives the hearing impaired a revolutionary new way to stream almost any sound they like directly into their hearing instruments. All they have to do is place the myPAL in front of the sound signal they want to hear or have a speaker clip it to his or her shirt allowing them to customize their listening experience and providing them more listening freedom. Beltone’s new SmartRemote app is the easy way to get the most out of your hearing aids. Use your iPhone or Android™ phone as a discreet remote and adjust the volume, change listening programs, or listen to your stereo, or TV through Beltone wireless accessories with a simple swipe of your fingers. It simply doesn’t get much easier. All you need is the Direct Phone Link 2. Download the free app today!